Size: approx. 25 mm. Photo: 11/22/11, 10 am. Hyla squirella has a length of 1 to 1.5 inches and varies in color (and pattern) from the typical green to shades of yellow and brown. Furthermore each individual frog can change their colors similarly to a chameleon. 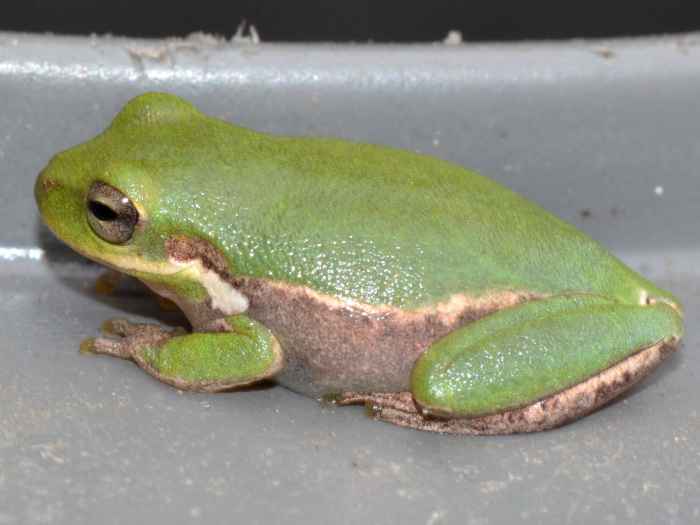 Squirrel treefrogs are also called "rain frogs" because during and after rain showers their call sounds like a chattering squirrel.